India's recent proposal to tax coal (per ton) and allocate the money to a "National Clean Energy Fund (NCEF)" to finance clean energy innovation largely flew under the radar, but the policy is notable for two important reasons. First, India's plan is a prime example of the right way to put fees on dirty energy to work -- using them to raise revenue for public investment that can catalyze clean energy innovation and adoption. Second, the proposed policy is further evidence that both rich and poor nations can find many reasons, in addition to climate concerns, to decarbonize - another point central to the Breakthrough Institute's energy strategies. 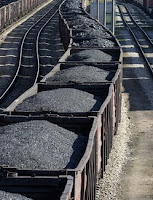 Included by the Indian Minister of Finance, Pranab Mukherjee, as part of the 2010 Budget, the clean energy "cess" (a term for tax), would raise the price of each ton of coal by Rs. 50 (USD$1.10). Although the Worldwatch Institute's report on this policy refers to it as a "carbon tax," the clean energy cess is far more direct and its role is qualitatively different than the way the role of a carbon tax is conventionally conceived. As Breakthrough has long advocated, taxing a dirty fuel source, like coal, raises the necessary revenue to make a suite of direct, targeted public investments capable of catalyzing clean energy innovation and adoption. In India's plan, funds raised by the coal tax will be housed in the National Clean Energy Fund and designated solely for clean energy research and innovation investments. Conventional carbon pricing strategies, on the other hand, (including both cap and trade and carbon taxes) envision a punitive carbon price at a level sufficient to signal the market to invest in clean energy, with no minimum level of investment guaranteed. So how much would the "cess" collect for clean energy? According to Worldwatch, India is expected to use 600 million tons of coal this year. That means in 2010, US$660 million dollars would be deposited directly into the NCEF. By 2020, coal demand is expected to reach 1.4 billion tons per year. By that date, then, India could be drawing US$1.54 billion annually for clean energy innovation investment. While slightly more than a billion dollars per year may not seem like much, especially in a country as large as India, the measure is an unprecedented step in India's effort to decarbonize. Framed as a "credible strategy for combating global warming and climate change," there are actually more immediate motivations for India to invest in coal alternatives. Continued reliance on such enormous amounts of coal could prove rather costly to India, in terms of both energy costs and the nations' trade deficit. 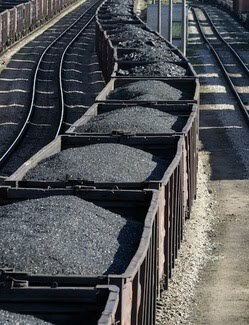 According to Forbes' Business India report, India is expecting to nearly triple its coal imports in order to keep up with rising demand, with average prices for coal imports "conservatively estimated" at about $200 per ton - roughly 4 times what U.S. power plants pay for coal mined here. Thus, decarbonizing its coal-intensive energy supply and diversifying its energy mix to include clean energy technologies would do far more than reign in carbon emissions. India's National Clean Energy Fund proposal has the potential to help the rapidly developing nation create a cleaner path toward long-term, robust economic growth while helping to bring millions of Indians out of energy poverty. This proposed public investment to develop clean, affordable energy technologies offers India a more diverse, secure energy supply, better air quality, and a chance to compete in the lucrative global clean tech industry. That it could also help avert climate risks may simply be the icing on the clean energy cake.